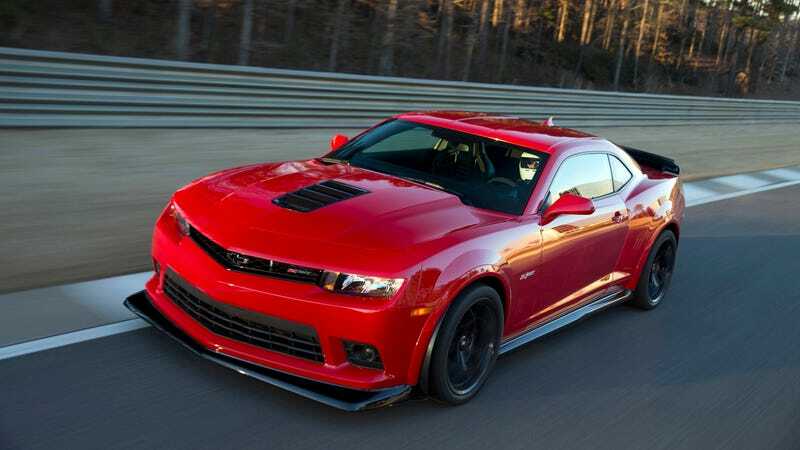 Chevy went for the track oriented Pirelli P Zero Trofeo R tires and carbon-ceramic Brembo rotors to control the 7.0 LS7's 505 horsepower and 481 lb-ft of torque. The only problem was that the achieved 1.5 g in deceleration force also happened to be enough to slip the rims inside the tires, all the way around according to the chalk line put next to the valve stem at the beginning of a test lap. Racers use an abrasive paint around the bead of the wheel, where the tire meets the rim, to combat the problem on race cars. The Z/28's engineers tried it, but it wasn't strong enough to prevent the slippage, so other approaches were tried. Finally, they tried media blasting, which involves shooting a gritty material through an air gun at the wheel's surface, adding texture to the paint for the tire to grip. Media-blasting the wheel created an extremely aggressive grit on the rim, which finally got the tire to hold.